I checked several of the Bramble bushes that I have let grow for the benefit of wildlife and every year I note quite a few white squiggles on nearly every leaf. This is of course the mines of the micro-moth Stigmella aurella that the larvae create when feeding from within the leaf itself. I also noticed a different shaped white mine for which I didn't initially recognise so I took a photo of it and got it confirmed as the larval workings of Emmetia marginea, a moth I have recorded in the garden twice in 2014. 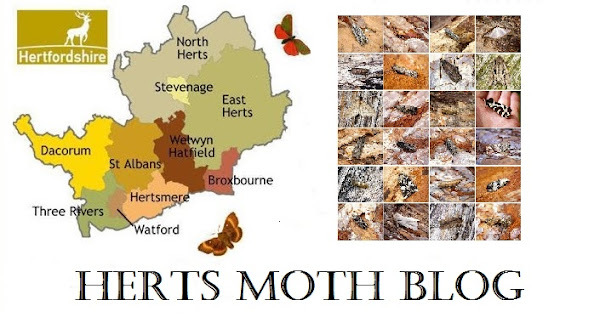 Both were added to the micro-moth list as larvae and increase the yearly list of micro moths to 15.